Summer Stock Stage provides students from throughout central Indiana with a premier musical theater experience. This year, there will be an increased focus on vocal, dramatic, and dance technique. 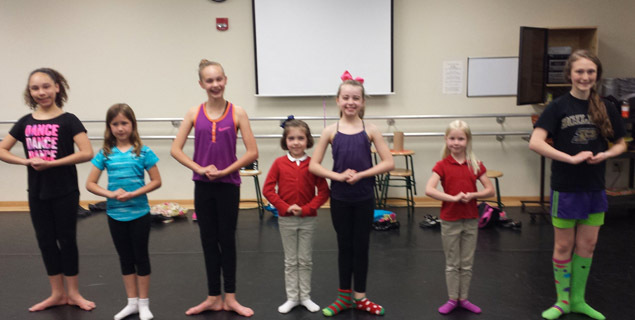 Academy students will gain confidence as they work with the SSS artistic team to learn music and choreography. Students will prepare selections from SSS mainstage productions for performances at Park Tudor School as well as pre-show lobby performances at the SSS production of Thoroughly Modern Millie at Indiana Repertory Theatre. Because Academy students will be the stars of their own show, they will have the opportunity to develop and display their skills in a fun and challenging setting. Space is limited. Registration is through Park Tudor School summer program website. Scroll to Week 3 Afternoon Camps.